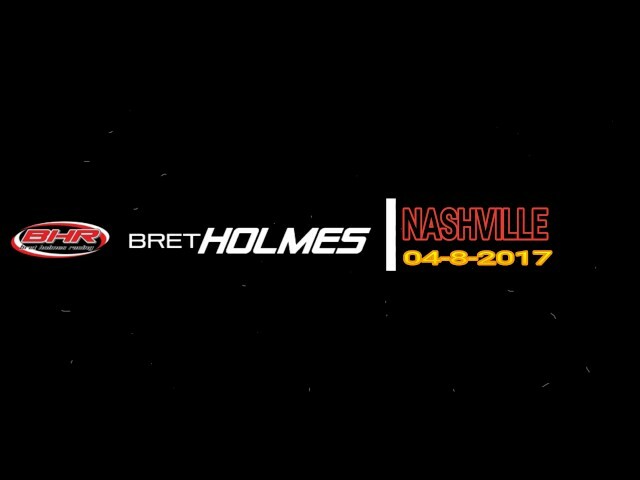 Bret Holmes and the No. 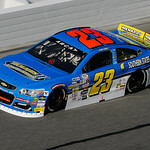 23 Holmes ll Excavation team finished sixth under the lights at Five Flags Speedway on Saturday night. The Mooresville, N.C.-based team posted the fifth-fastest time in qualifying, placing them on the inside row for 200-lap main event. After the first initial laps around the half-mile track, Holmes remained a fixture within the top five of the running order for most of the race. Holmes moved into the third position as the first caution of the night slowed the field on lap 80. During the yellow flag, Holmes brought the No. 23 Chevrolet to the attention of the Shane Huffman-led team for right-side tires and fuel. 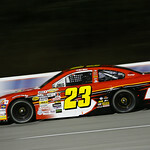 The Munford, Ala., native was scored fourth for the ensuing green flag but was shuffled back to seventh on the restart. Holmes settled into rhythm and began working his way back into the top five and by lap 115, found himself knocking on the door of the fourth spot. The final caution of night arrived on lap 160 where Holmes pitted for four fresh tires and fuel and restarted fourth. Holmes slipped to eighth with 40 laps remaining but was able to work his way back to the sixth position before taking the checkered flag. All Contents © copyright Bret Holmes.